Look out while driving in Redmond after midnight. On Sunday, two—yes two—people were arrested for DUII after allegedly crashing their cars into buildings. 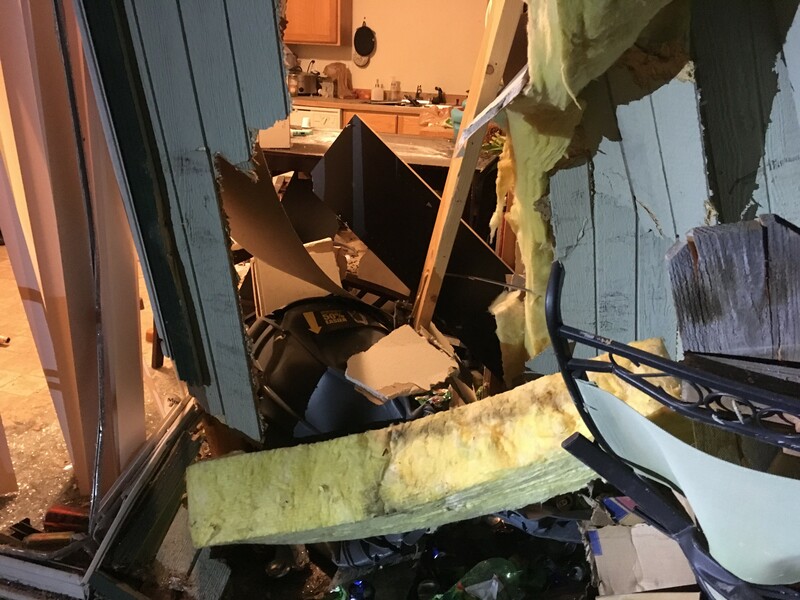 The first incident was just after midnight, when Redmond Police officers responded to reports of a truck crashed into an occupied duplex at the 1900 block of NW Larch Spur Court. When the officers responded to the address they say they found the vehicle had left the scene, but not before leaving a hole in the rear of the duplex and nearly hitting a 10-year-old child who was sleeping a few feet from where the truck crashed through. Evidence at the scene led officers to a suspect, Jory Markiss, who they arrested for several crimes, including DUII. About an hour later, the officers were again dispatched to a vehicle hitting a building, this time at the Double J Saloon on SW 6th street in Redmond. Police say the driver, Emma Walker, left the car behind, but was arrested about 30 minutes later and charged with DUII and other crimes. Due to call load and staffing levels, Walker was given a a criminal citation to appear and released to a sober adult. Let’s be real, in today’s day and age—think the numerous rideshare apps—there’s no excuse for DUIIs. And especially, there’s no excuse to damn near run over a kid sleeping in their bed.